This eatery is Calgary's premiere destination for Indigenous comfort food! In First Nations communities, sharing food is one of the ways the people stay connected and is a way to show each other they care. One Indigenous couple has taken it a step further by creating their own comfort food delivery service called Aahksoyo’p Indigenous Comfort Food. Although the couple sells the services to those who love traditional Indigenous food, they also see the importance of giving back. “We have a freezer downstairs that we’re trying to fill. You know last week we helped a family for food for lunches. 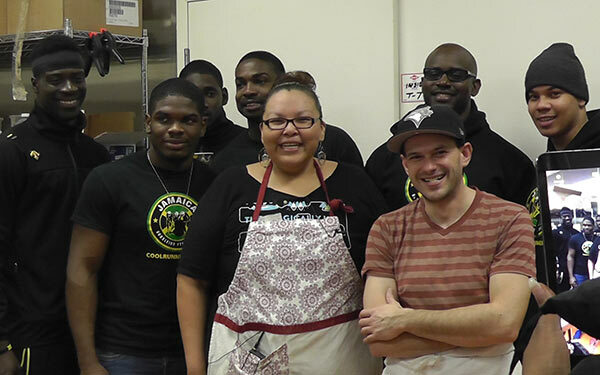 Today, we’re helping a family with milk who has a family with kids and right now, especially with the economic downturn, we want to put it out there that we care for other people, we’re here to help when someone needs it,” said Paul Conley, co-owner of Aahksoyo’p Indigenous Comfort Food with his partner Shantel Tallow. Tallow and Conley collect and donate food items, and provide their food services to those in need within Calgary while at the same time they run their successful food delivery service business. Aahksoyo’p is the first Indigenous food delivery service within Calgary. The business delivers throughout the city and the Treaty Seven area. Aahksoyo’p delivers straight to customers’ doorsteps. One of its more popular orders is the ‘Indian Taco’. What exactly is an Indian Taco? 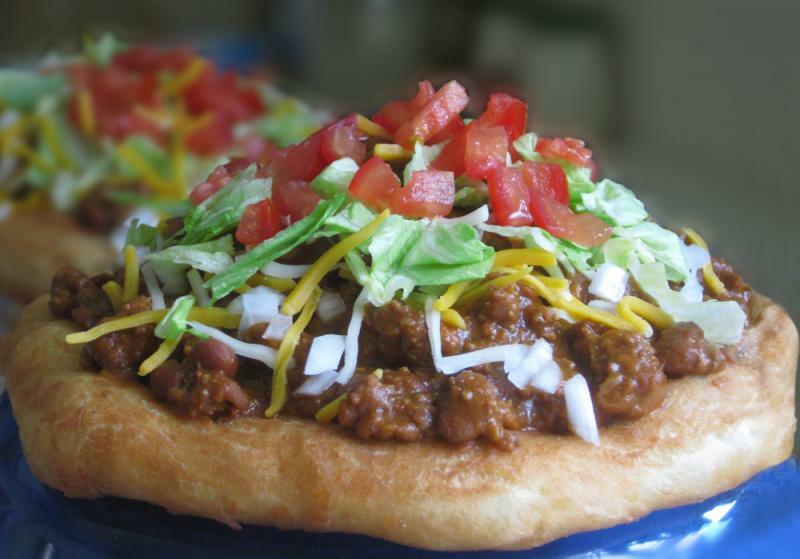 It’s all the makings of a regular taco, but it sits on top of frybread — a tasty traditional delicacy among First Nations peoples. “It tastes really good, we have this in Jamaica too but it’s called [something else],” said one member as he chomped down on his second piece of frybread. As business continues to boom for the power couple, they tell a tale of ups and downs and the long road it has taken them to finally get to where they are today. The two have been through a lot in the last couple years, including being ripped off by another business manager to having plans of becoming pop-up vendors at Symons Valley Ranch — which burned down within days of plans being finalized. But despite all their obstacles they continue to have high hopes for the future. “Everyone goes through the bad things, everyone goes through the good things. It’s just the balance and how you accept that. Our slogan on Facebook is ‘life is balanced with a taco in each hand,’ said Conley. Aahksoyo’p continues to be the only Aboriginal catering company listed within the city of Calgary. Tallow hopes to grow their catering business into a storefront and eventually a food chain restaurant.